We have just completed our new showroom. Avant-Garde Kitchens is a Hettich endrosed showroom. Hettich is our supplier of hardware as well as new concepts and trends. Hettich offers a vast range of fittings, from drawer runners and runner systems to hinges, decorative handles. Up to date lighting options as well as folding and sliding door hardware. Hettich aims for functionality, quality and comfort. 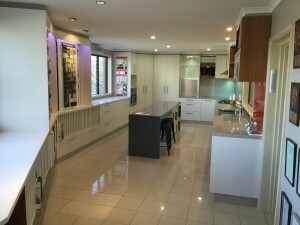 Our updated showroom offers the client the opportunity to view a range of products, materials and current solutions. From hardware, handles, doors, bench top materials, stone options to glass splash backs. We endeavour to meet our clients every need to transform their home.